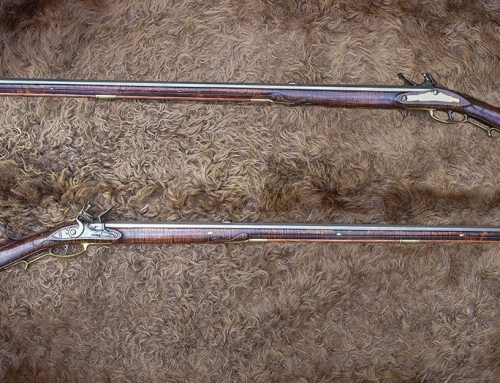 Born 1754 in Berks County, 15 miles northeast of Reading, PA, Berlin was shown on tax records in Easton, PA as a gunsmith from 1778-1781, then again from 1783-1786. 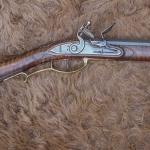 He remained in Easton until 1788 when he moved to York County. 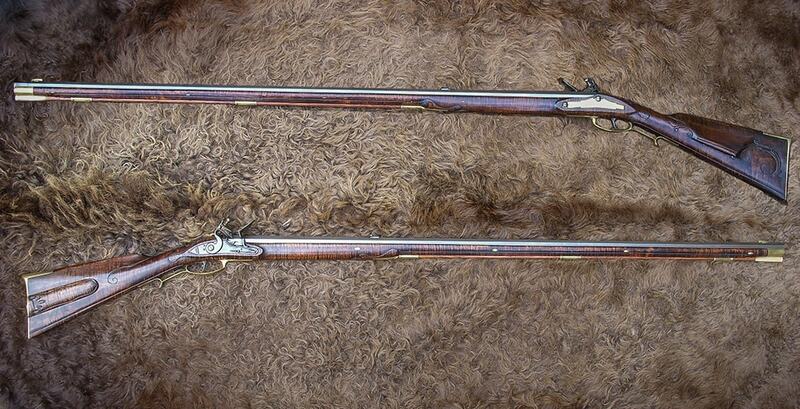 Berlin died in 1831 in Crawford County, PA. 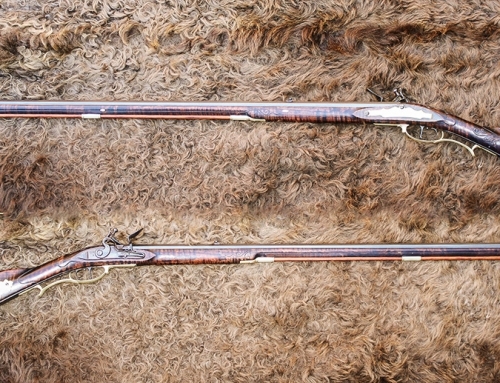 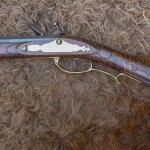 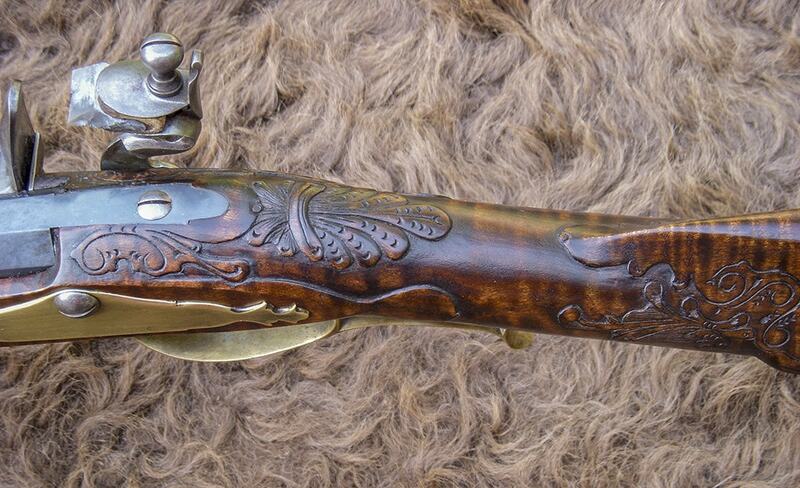 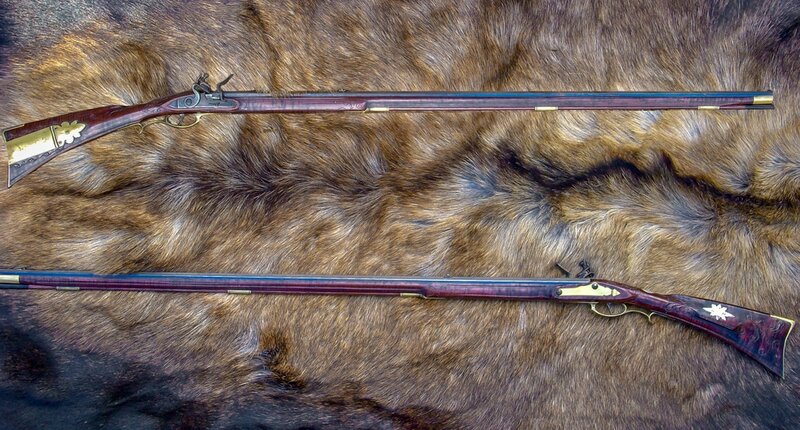 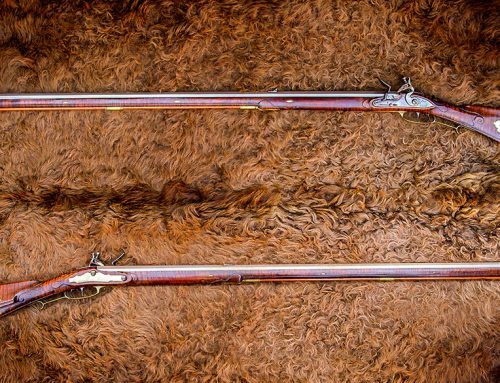 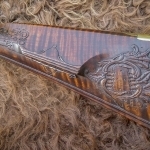 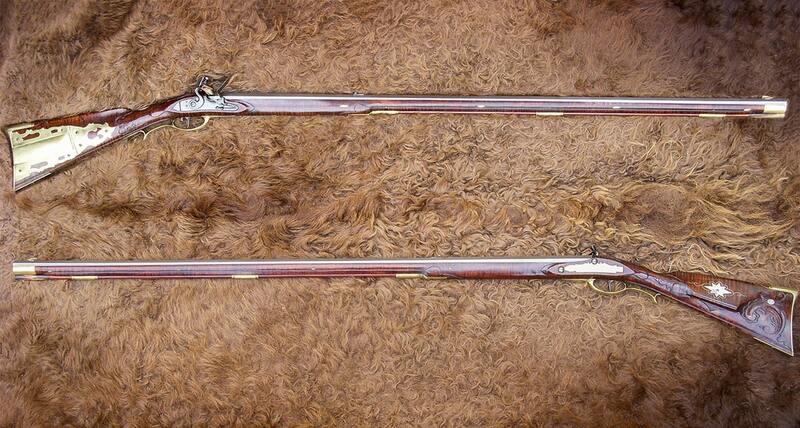 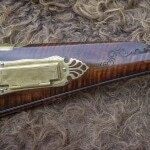 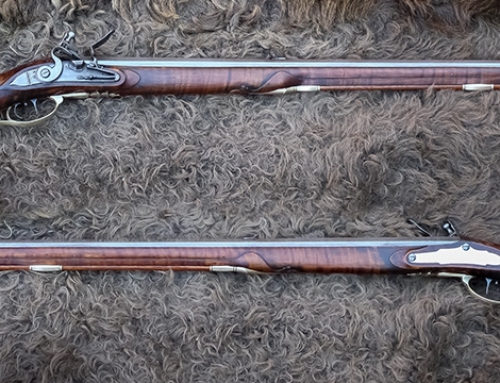 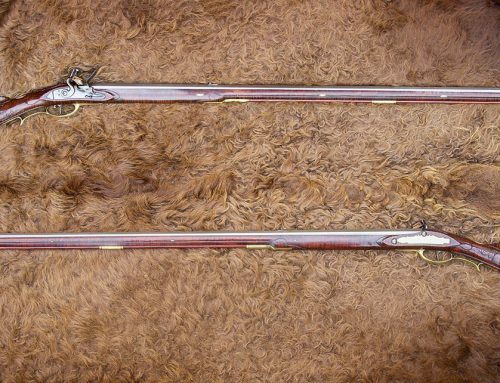 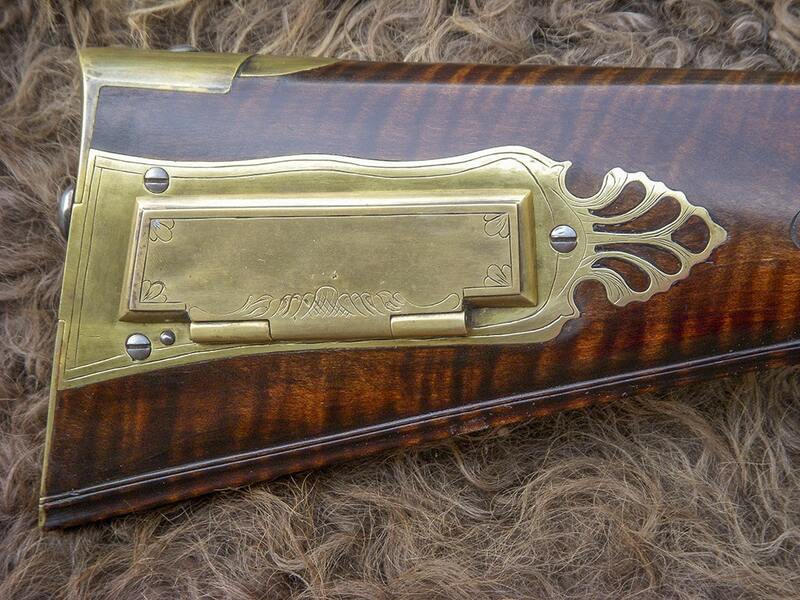 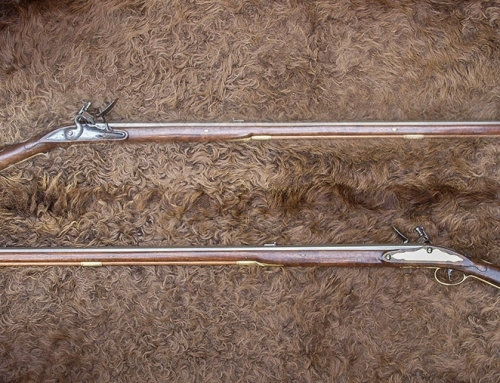 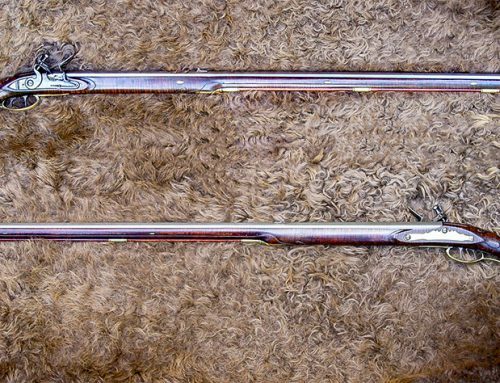 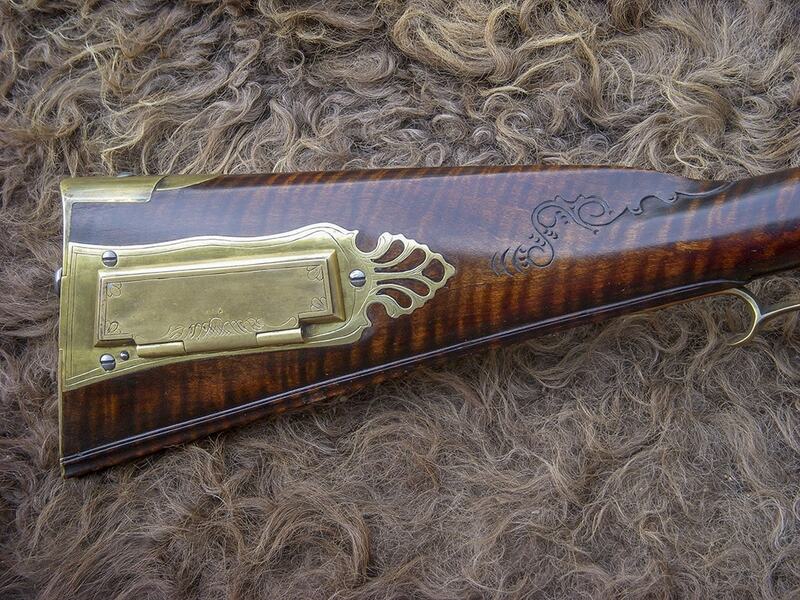 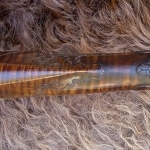 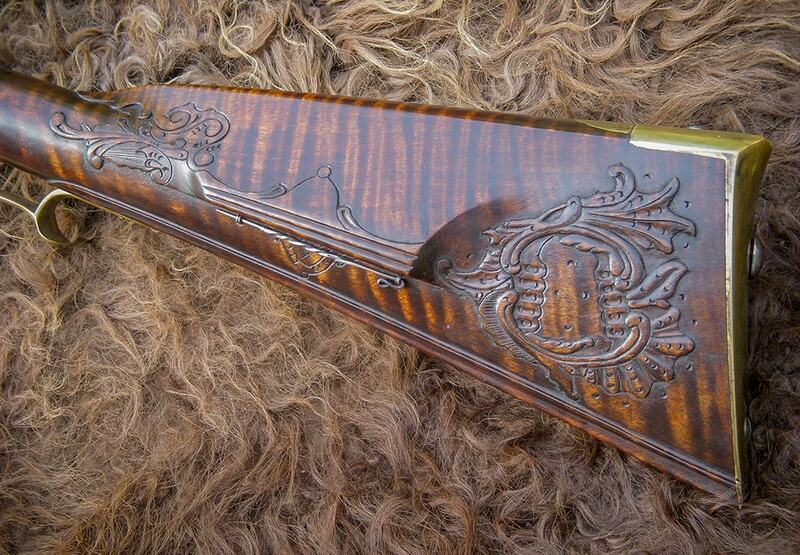 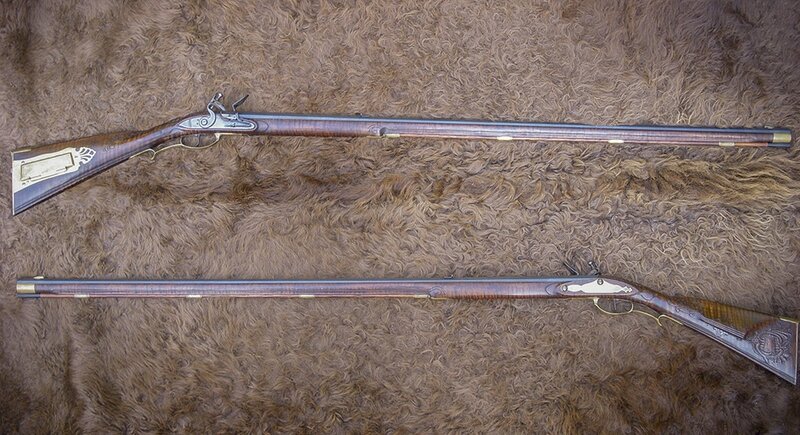 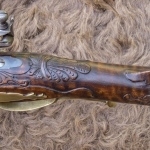 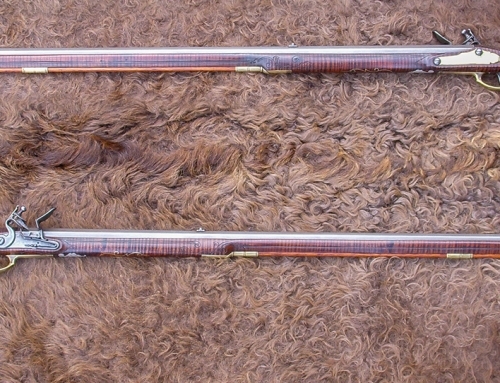 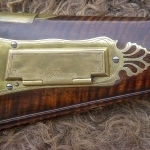 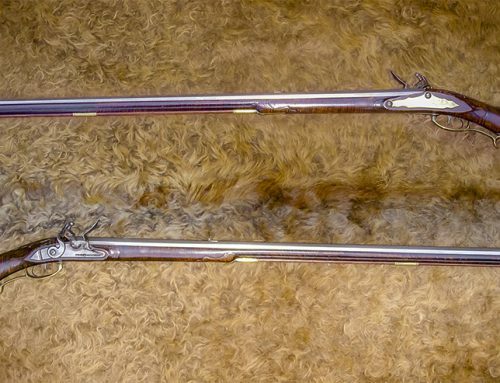 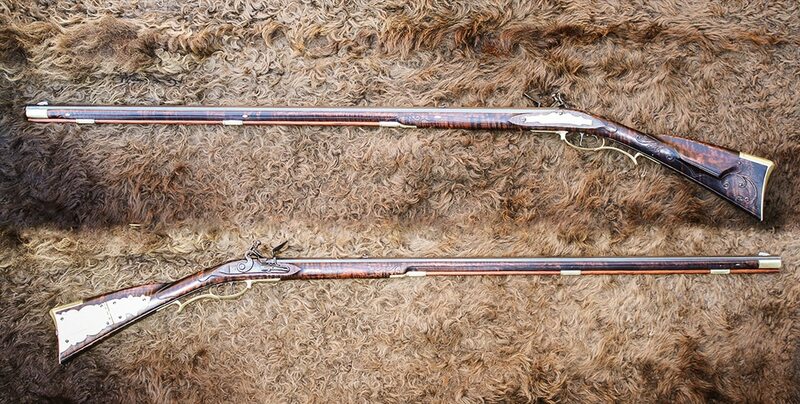 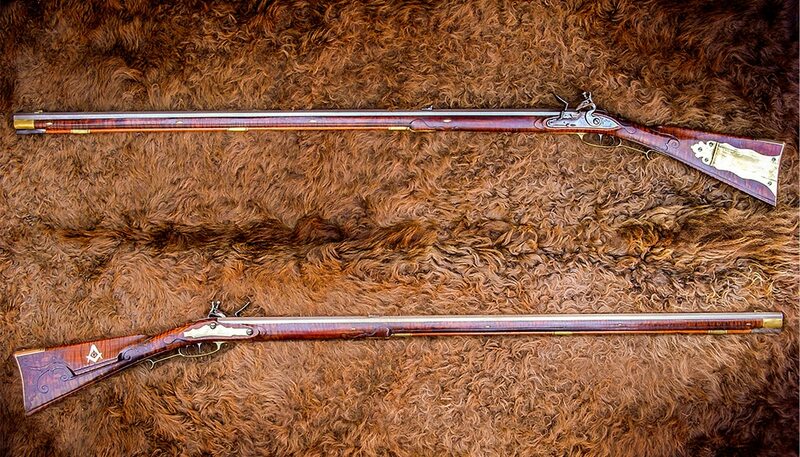 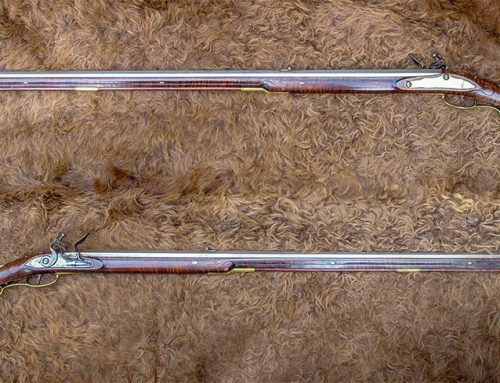 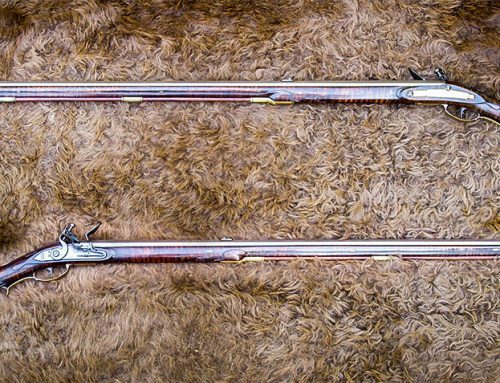 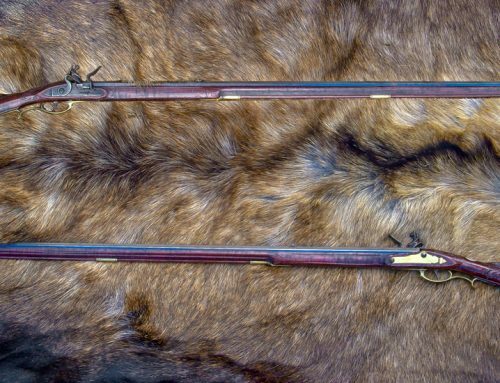 This contemporary example is patterned after an original signed Isaac Berlin rifle which was made in Easton, Pennsylvania during the 1775-1780 time period.